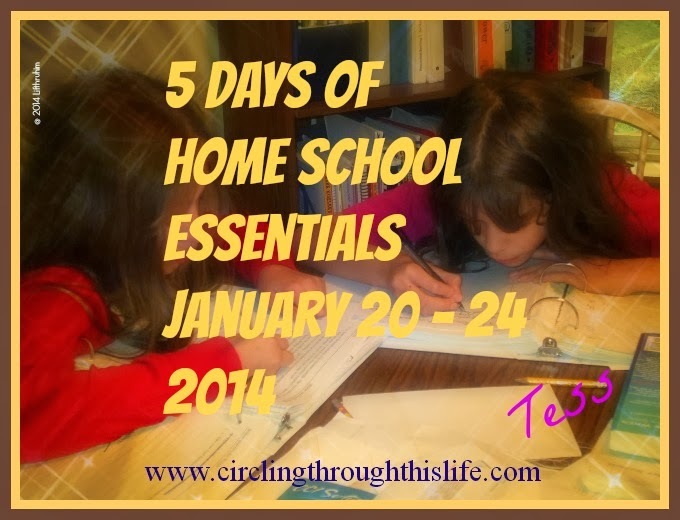 The Critical Thinking Co. is one of my very favorite home school vendors. I first started using their Building Thinking Skills Primary program when BooBear was 5 years old and have loved every product we have used, so when the Schoolhouse Review Crew offered Math Analogies Beginning software for review, I knew I had to have it for Supergirl. This Windows only download, for students in the K-1st grade range, teaches critical thinking and reasoning using analogies. However, these analogies are mathematical, making this an excellent math supplement or math enhancement for any K-1st grade math student. Although, I think I would use this with advanced students who have already covered K math and some 1st grade math as the questions require the foundational math skills. Students who understand up/down, left/right, shapes, and number concepts will have the skills needed to discover and make connections that enable the student to successfully complete each analogy. Students who are younger or do not have these skills as established should still be able to use Math Analogies Beginnings but may not have the confidence or ability to work through it independently. This is similar to the physical book also offered by The Critical Thinking Co. but all of the questions are multiple choice with four answer choices. Once I registered the license, I clicked start. It asked for a name. There are 152 questions. We choose to answer 10-15 questions 3 to 4 times a week. The program will save the data for one student. When we finished for the day I would click on the home icon to take us back to the dashboard. The dashboard displays which attempt, how many questions have been answered, and the percent answered correctly. This downloadable software comes with a license registration that will permit installation on two computers. The program will only track data for one student at a time. It will track up to four attempts. With attempts 2-4 the student is only asked questions that were answered incorrectly in the previous attempts so each attempt becomes fewer and fewer questions. Once an attempt is completed the student can review the correctly completed problems. Supergirl and I used this 3 to 4 times a week. She enjoyed it so much that she would ask for it. It would be the first thing we did. We finished all four attempts and have started the program over again. For the first 1/2 to 3/4 of the 1st attempt, I really had to help talk her through most of the questions. I would read the problem translating the : and : : symbols. So I might say “Circle with a Winky Face is to Circle with no face as Square with Winky Face is to what? What do we need to do to the square to make it match the circle.” As we progressed through the questions she began more and more to verbalize her reasoning and talk herself through the problem. I loved that! She was challenged and yet it was not too hard that she was discouraged. She enjoys it so much that she asked if we could start over. So we have. We’re now going much more slowly and I am letting her talk through each problem so we’re only doing about 5 at a time. I’ve also started asking her “why is it this one?” or “Why is it not that one?” I can tell that she is gaining reasoning skills and making connections. I highly recommend Math Analogies Beginning as a wonderful resource for introducing children to mathematical reasoning. Also Available: The crew reviewed several different products from The Critical Thinking Co this crew run. Click on the banner below to read the other reviews. The Crew also reviewed products from The Critical Thinking Co. in April of 2012. I reviewed Crypto Mind Benders, another excellent product.